At RG Recycling Group Ltd, we have teamed up with international specialists Binder+Co to deliver advanced materials processing solutions for our UK clients. 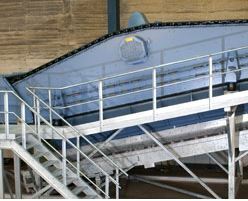 Screening is an important step in the processing of bulk materials. Binder+Co provides screens for particularly difficult requirements, which is where BIVITEC comes to the fore. Screening difficult products such as damp, stalky and leafy materials, or matted substances, BIVITEC removes the common problems associated with this type of screening, such as blockages of openings. The SANDEXX sand trap delivers recovery of fine grain sand from water, and is popular thanks to its low ongoing maintenance and operating costs for high operational ability. The sand-water mix runs through a feed impact chamber, which is protected against wear, and into the sand trap. Using buckets inside the wheel construction, the sand is scooped and de-waters. Large pools ensure that quartz is efficiently recovered and elutriable material is separated. CLARITY is a 3-stream system for sorting coloured glass. Introduced to the market in 1998, CLARITY was a trail-blazer for glass recycling, thanks to its modern technological light sensors for separating the glass, metal and contaminant detection, and a revolutionary external design. As requirements for glass processing has changed, so CLARITY has moved with the times, now offering features for detecting impurities that can’t be recognised by the naked eye. COMPACT is CLARITY’s little brother. Designed in a well-proven modular construction, it offers all the benefits of CLARITY, only with smaller dimensions. The smaller size means the COMPACT system can be fitted into practically all existing plants, and more than matches CLARITY for performance. COMPACT has a sorting width of 500mm as standard, and is designed as a 2-stream system. CRITERION is a user-friendly and compact multi-stream system for separating different kinds of plastic. 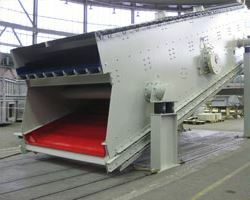 Available in the standard sorting widths of 800 and 1000mm, CRITERION can also achieve higher throughput rates with the addition of extra sensors, providing sorting widths of 1600mm and 2000mm. CRITERION also uses infra-red sensors to detect and evaluate the different kinds of plastics for sorting. The MINEXX mineral sorter is the newest sensor-based sorting machine from Binder+Co, used for sorting minerals such as quartz. Its inception means that we can now offer customers a complete processing solution for construction raw materials and industrial minerals from a single source. Sensor-based sorting of rocks is now experiencing a real boom, making MINEXX a great investment. Austrian-based Binder+Co is an internationally recognised specialist in machinery and complete systems for comminuting, screening, drying, sorting and wet processing, as well as packaging all kinds of bulk materials. Concentrating on the three segments of processing technology, environmental technology and packaging technology, Binder+Co is a global leader in screening technology and glass recycling. Through its innovative products, Binder+Co makes a valuable contribution to the efficient management of limited resources. Established in 2009, RG Recycling Group Ltd has quickly become recognised as a global leader in recycling equipment supply and waste processing management.